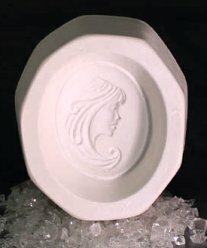 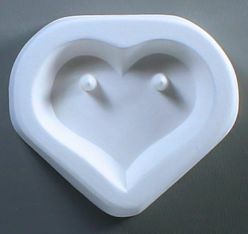 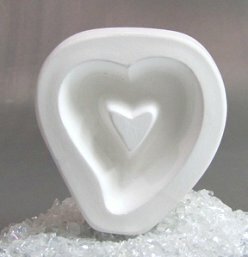 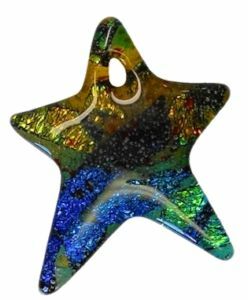 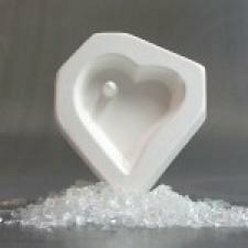 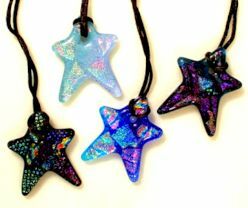 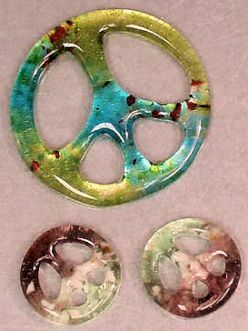 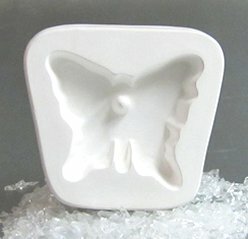 Use these frit casting molds to make jewelry or as separate elements to be fused to other items to add interest and detail. 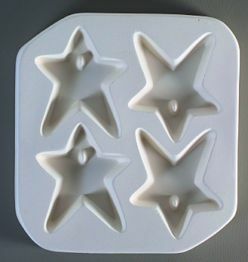 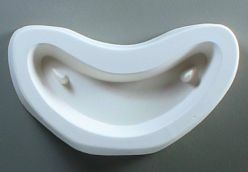 These molds have a hole built in. 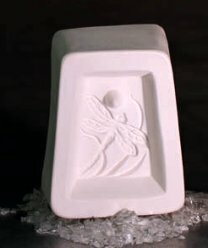 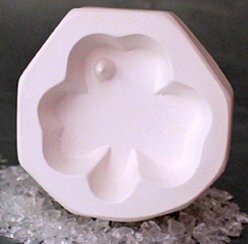 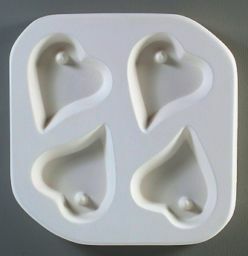 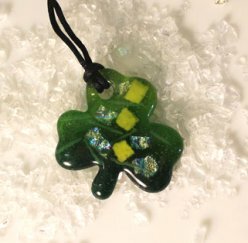 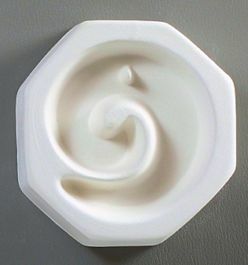 If you look at the shamrock mold at the lower left, you can see a "peg" at the top left of the mold. 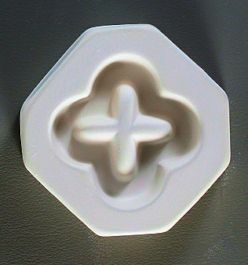 This peg will produce a hole in the finished casting. 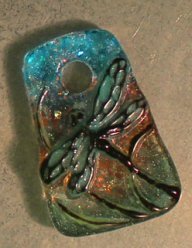 Use the hole to thread cord or jewelry chain to make a pendant. 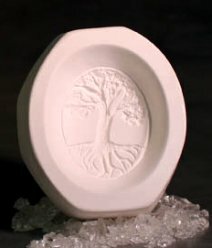 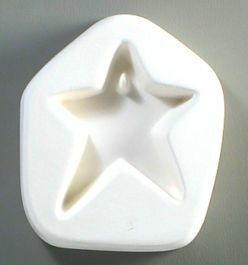 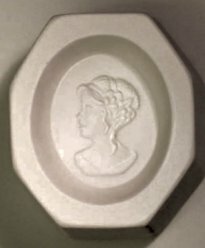 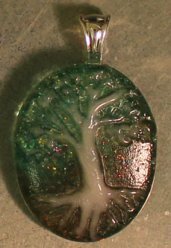 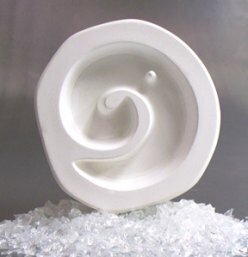 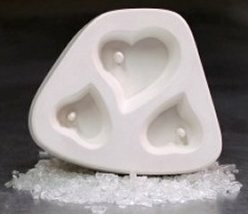 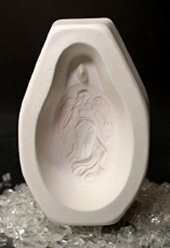 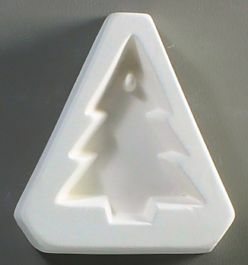 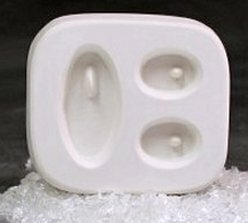 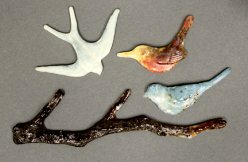 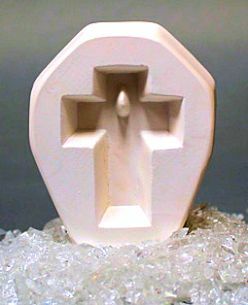 Casting is 1½ x 1¾"
The Trio Molds make a complete set of jewelry (pendant and two earrings) with one firing and one mold. 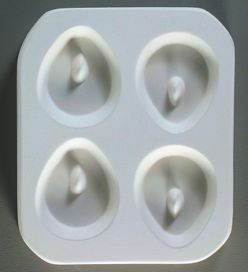 Quick and efficient. 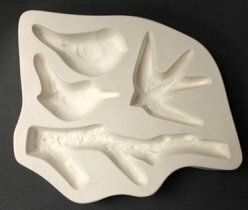 The Quad Molds make up four of a kind with one firing and one mold. 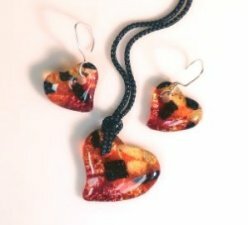 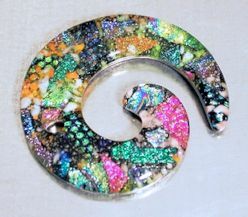 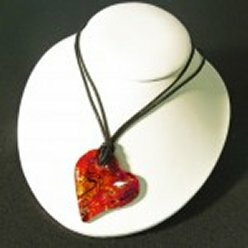 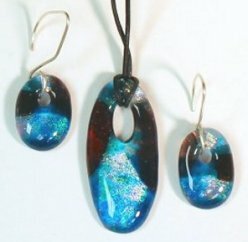 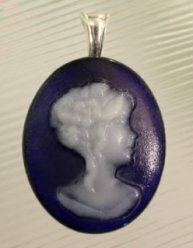 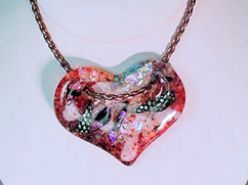 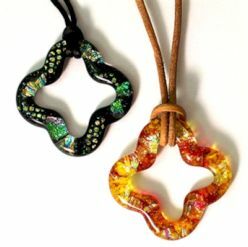 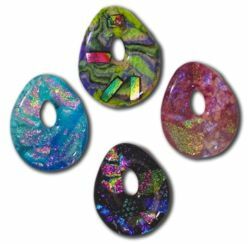 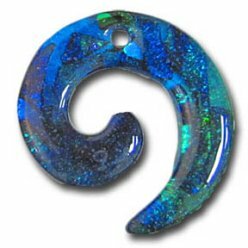 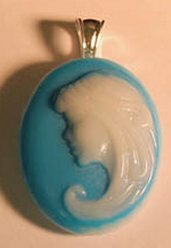 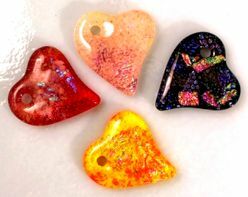 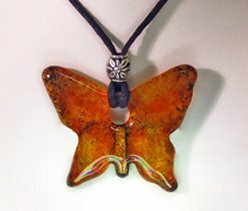 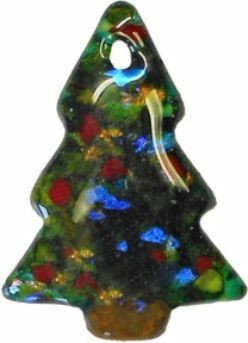 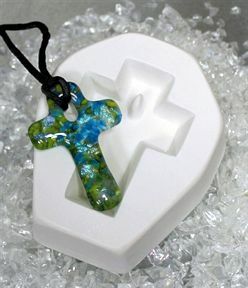 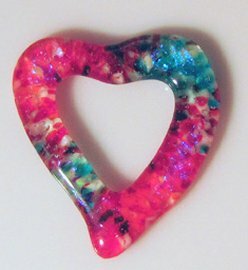 Use contrasting colors of frit to make detailed cameo style pieces for jewelry. 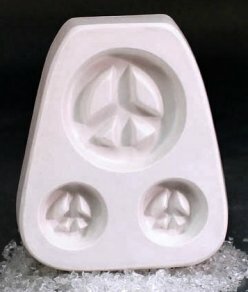 Casting is 1-3/4 x 1½"
Mold is 4 x 2½"
Casting is 2 x 1½"
Mold is 3 x 7½"
Mold is 5¼ x 2-3/4 x 1½"
This mold is designed to be a frit casting mold, but if you prime the mold carefully and undersize the fused blank you wish to drape, it will perform well as a draping mold.